The game of basketball is an art, and so are the shoes that hit the hardwood each night. Designed for athletes like Michael Jordan and Kawhi Leonard, Jordan Brand shoes have helped players make history. 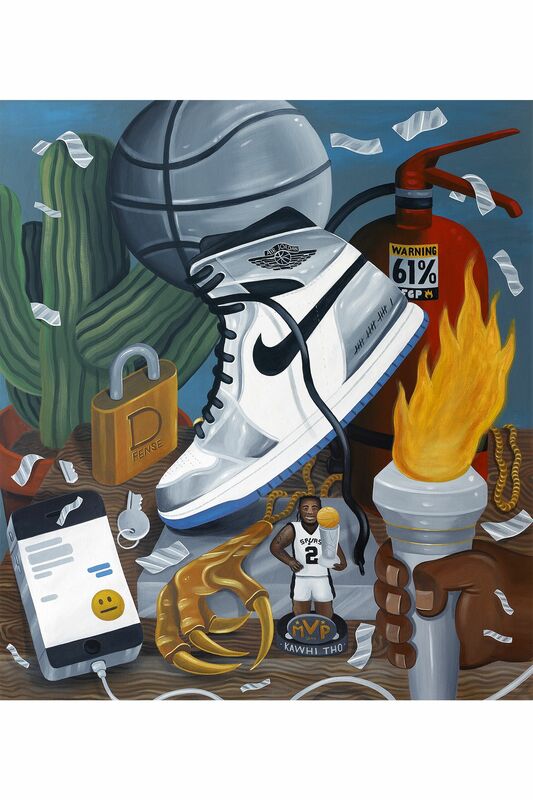 In celebration of this legacy and the NBA Playoffs, Nike, Converse, and Jordan are releasing the Art of a Champion collection — 16 shoes for the 16 total wins it takes to earn an NBA title. 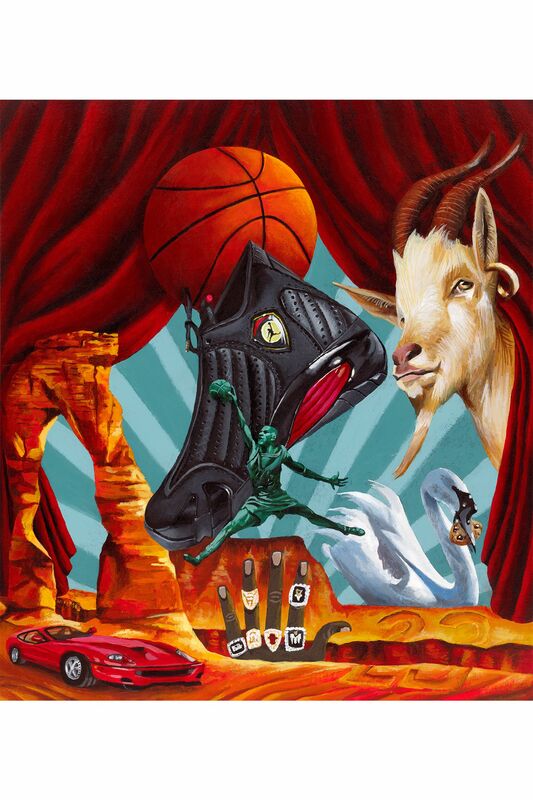 16 artists have created original art pieces to commemorate each shoe and the players who have worn them. 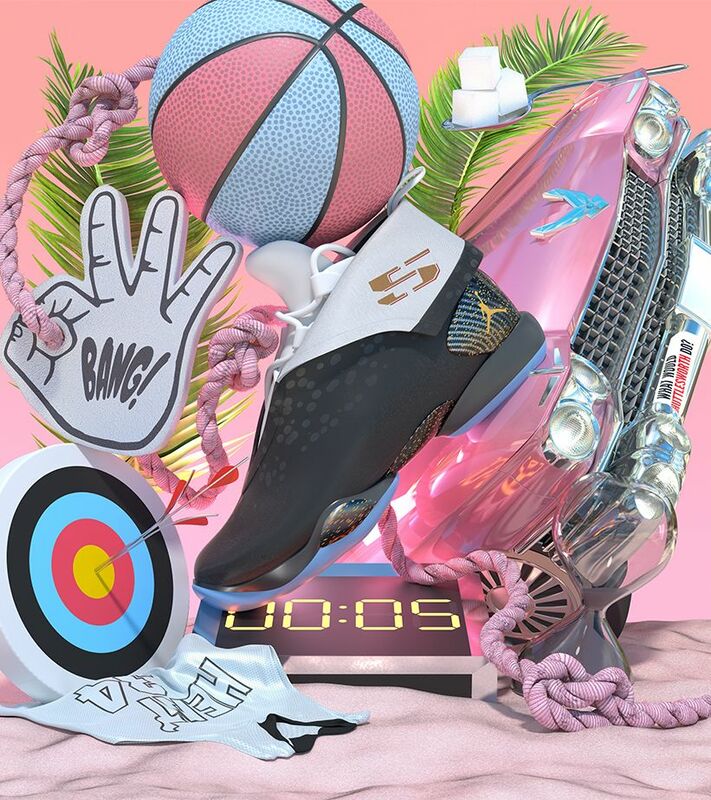 Below, four artists explain the artworks they made for CT16 Jordan footwear. In Game 6 of the 2013 NBA Finals, with 5.2 seconds left, Ray Allen hit a game-tying three that changed the course of the series and led to the Heat winning the Finals. 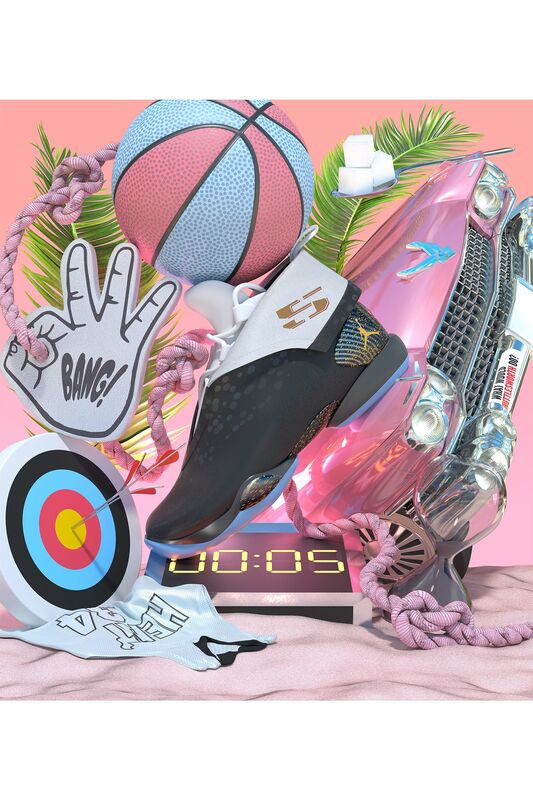 Jonathan Zawada’s collage tribute to Allen and the Air Jordan XXVII includes a shot clock, an empty hourglass, Miami-themed colors, and sugar cubes for Allen’s nickname, “Sugar Ray.” “When you see what somebody like Ray Allen achieved and was capable of, it’s hard not to be inspired by that pure focus, diligence, and humility,” says Zawada.